The blockchain technology is extremely complex and it’s overwhelming to most people. It helps to have that background and to explain it to an audience that is not familiar and does not speak the technical language on a day to day basis. Cherie Aimée puts herself myself in the shoes of somebody that doesn’t understand the blockchain complexity and relays it in a way where they can easily not just grasp this complex issue but walk away remembering what they got out of the message and what your mission is. Cherie says, in a way, that impacts them to then take action. Cherie is the former Director of Communications for ShipChain, a tech company offering a blockchain-based solution to unify a multi-trillion dollar freight and logistics industry. She recently did a keynote called Humanizing Blockchain. Cherie shares how she communicates and explains the blockchain in every possible way – the whys and the why not’s, what’s needed, and what’s next. I have an interesting interview with Cherie Aimée. Cherie has been doing an international keynote on humanizing blockchain. I thought it was a fascinating thing to be thinking about. We think of blockchain as being about technology, but there have to be humans. There’s human need involved in the process. There are lots of human good that’s being that’s being done by so many of the blockchains that I have been writing about like blockchains that are doing a lot of financials. There are a lot of companies and parts and processes doing this, whether you’re looking at blockchain for supply chain management or something like that. There’s a lot of that going on. I thought that this was a great way for everyone to take a look at and get an insight into how that works. Cherie has a really interesting background. There’s a lot of tech in her background. She has also done a lot to help tech companies start to decipher their languages or to be interpretive in their languages of how they do that. She is on her own right now doing a consulting business. I thought that bringing her to you and getting a sense of her passion and interest in how blockchain and innovation in general in companies can get themselves moving for their cause, for their businesses and their futures and all of our futures. Her passion for it is wonderful and her views on humanizing blockchain are really of interest. I’m bringing you now, Cherie Aimée. Cherie, thanks so much for joining me. Thank you so much for having me. It’s an honor to be here. I am super excited to talk about the keynote that you’ve done, Humanizing Blockchain. I love the topic of that and I want to jump into that because that to me is exactly what we’re all about here at the New Trust Economy. We’re really talking about how do we get more diversity in it? How do we humanize this technology so it can be untrustworthy or trustworthy, but we can still make it work for us as humans? How did you get started in blockchain? I’ve actually been in technology for years, not specifically blockchain, but I’ve been in technology for probably almost twenty years. It’s been a long time. I actually was a former programmer and then I got more into leading tech teams and ultimately getting more into the branding communications and marketing side. Is it that the case that so much of technology needs to be marketing and branded and it helps to have a technology background to understand that and to figure out how to message that? As you know, technology is extremely complex, number one. Number two, it’s overwhelming to most people. It does help to have that background and not necessarily that you need to know the ins and outs of what a developer is doing all day every day or how it actually works on an intricate level. It does help you to actually explain it to an audience that is not familiar, does not speak the technical language on a day-to-day basis. Honestly, what I’ve found is even when you’re speaking with high-level executives, maybe at the CTO level where they obviously have that level of background, I’ve learned that even with them, their initial conversations with you, their initial introduction to you, they don’t want somebody coming up with all of this technology knowledge because the truth is they want to really understand, do you know how to explain it to the everyday person? Do you understand it? Blockchain Complexity: Technology is extremely complex, and it’s overwhelming to most people. They want the basics first. It’s really to talk and make things really complex especially if you’re nervous or if you don’t know what you’re talking about. It’s funny because I think I learned over the years that one of my biggest skills is the ability to research and learn and ask the right questions. Then to internalize it and put myself in the shoes of somebody that doesn’t understand it or is short on time and relay it in a way where they can easily not just grasp this complex issue, but walk away remembering what they got out of the message and what your mission is in a way that it impacts them to then take action. That in itself is a skill in its own. It’s actually a much-missed skill in most places and so I pride myself on and the ability to talk. I call it talking different languages. I can talk to the engineering team and I could talk to a design team. I could talk about art creative and I can talk tech. I could talk finance and then I can talk legal. Being able to have those communication skills and being able to distill it into what is most important to the audience that’s listening, that’s the key to really getting funded, to getting your technology adopted and to getting buy-in throughout an organization. An area that I’m really seeing a huge need for it is after the funding, after all of that excitement has worn down and now you’re doing the long-term stretch. This is where I think a lot of companies fall apart. A lot of startups fall apart. You’re so right there. It’s after this hype of, “I got funding. There’s a lot of hype around the technology,” and perhaps you’re into that. I call it the application cycle and if you’re not applying it, if you’re not showing proof, if you’re not showing case studies, if you’re not at that stage of being able to show some kind of demonstratable return on investment, then you’ve got to be able to explain it in a very different way. Why? Why not? What’s next? What do we need? That’s really where a lot of deals completely fall apart and companies fall through. I think for me, one of the most devastating aspects of that is this is the critical phase where most of them fall apart. What’s so devastating for me is seeing the pushback at actually understanding this. For those of us that have been in this field for a while and do have that ability to communicate, ability to engage, whether it’s your potential clients, your community and the people that are going to keep you around long-term. If you don’t have that foresight, that experience, and that wisdom for sustainability and you’re working with people that are only seeing what’s right in front of them, to me it feels like you’re watching a train crash. I don’t mean to be dramatic, but that’s what it feels like to me. Sometimes it feels like a slow-motion train crash. This is what happened to me and I used this analogy a lot of times. I was through the hype cycle and other parts of the 3D print boom and then bust. When you watch that, I was watching these companies going, “They’re not going to make it, there’s no way they’re going to make it.” I was writing about them in my column and I was just watching that going, “It’s not going to happen for them. They don’t get it. They aren’t communicating with their users. Sometimes they follow the super users and that leaves out so much of the next-level of adoption.” That’s where a lot of it falls apart. You’re so right. It’s amazing because just like you, you’re seeing the same language. They’re like, “No, we’re just focused on these people,” and you’re like, “No.” What’s really funny is that it actually doesn’t even matter whether the technology is blockchain or AI or anything. It’s the same what I call business principles of how to take your company from startup to growth. It’s the same product launch principles. Whether it’s a software product or it’s a blockchain product or it’s a non-tech product, the process is exactly the same. The service launches are exactly the same because they follow consumer principles. 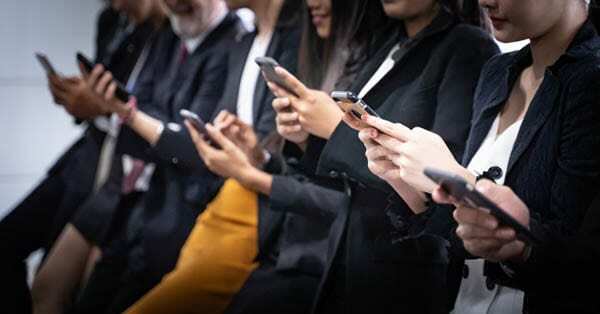 Whether it’s business consumers or our physical like a retail consumer, there’s a little bit of difference in how it gets to market, but not much difference in how people buy or how they think or how they process or how they adopt the technology. It’s exactly the same. This talk that I give, Humanizing Blockchain, it’s actually called Humanizing Blockchain: How To Bring Trust To A Trustless System. The thing is we want these companies to survive and I think a lot of times what happens is your startup is your baby. Your product is your baby. You know that there’s a certain level of independence, resilience, not listening to the naysayers, not listening to outside opinion. There’s a certain level of that obviously to get to success. 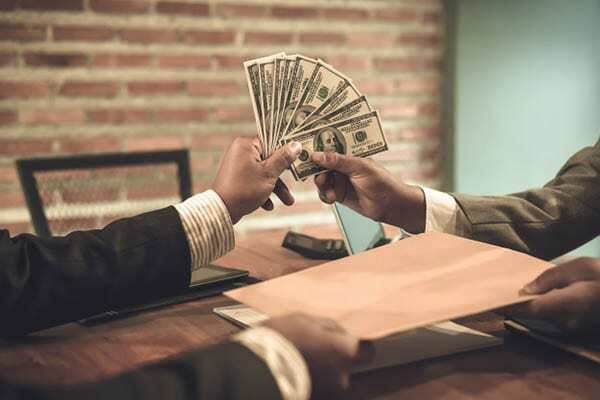 There’s also this fine line of doing what is necessary because the truth is you can have a business, but technically you need to be generating revenue. If you need to get people to buy, there’s a very simplified way that I like to describe the buying process. It’s that I’ve learned that people tend to buy what they want versus what they need. I’ll explain further in a really simplified version. I could package myself up as a branding thought leader or coach. I could share what I truly feel that most people need to become a thought leader or to influence people by the masses. That is you really just need confidence because most people have everything they need to go out, package themselves up, market some type of service or product and make money to deliver that exchange and get money in return. The reason most of us don’t do this is that we actually don’t believe in ourselves enough and we don’t have that confidence internally. We don’t have that confidence to actually communicate that level of assurance out to the audience to get them to buy. What I learned, and I’ve actually tested this, is that when I would market a product that was called branding or thought leadership or building a large community, people were all over that. If I marketed a much cheaper, like pennies product that was called confidence, which is really what they need, it barely sold. The more expensive product that was titled what they want, which is they want the brand, they want the thought leadership, they want people to pay attention because they have a message to relay. They would rather spend thousands on that than the same product called confidence, which was maybe $97. Blockchain Complexity: Most people have everything they need to go out. They package themselves up, market some type of service or product, and make money to deliver that exchange and get money in return. I had the same problem with the inventor community. I think it’s that they hide behind the product, they hide behind the technology, they hide behind the details of these things and they get completely caught up in that they can no longer communicate the vision and all of that. It really is that they are not confident in all the things they don’t know like how to get to market and how to do all of these things. They then go for the one thing that they know is a validation of what they’ve invented, which is the patent. It’s the last thing they actually need. That is really the same kind of thing that you’re talking about. They’ll spend tens of thousands of dollars on getting a patent and the reality is that they really need to be spending that on marketing. I wish I could say you could spend it on the product, but you can’t, you’ve got to spend it on marketing nowadays. Building your community or getting that messaging right and then get the product later. I want to touch on a little bit about how you found blockchain. You’re immersed in this technology world and you heard about this blockchain thing. How did you decide there’s really something here? I started learning even more and really diving in and ultimately spending until 4:00 AM every single night obsessed learning about it. I think what really got me excited was once I started learning about the benefits and how it could impact major industries like healthcare, supply chain, other countries that didn’t have access to banking. That to me really spoke to my own core values and my own mission to impact humanity in the world. That’s what really drew me in. Ever since then I was obsessed, but it was really through that initial introduction that I ended up very quickly growing a name for myself in the industry and then I started working directly for a blockchain startup. It’s funny because this is the same friend. I actually found out as I was studying behind the scenes, I just ended up finding out that he was in the background building out an application for specifically supply chain, freight and logistics. I was like, “What is all this about? Tell me more.” I didn’t know anything about the supply chain. I knew nothing. Once I started understanding, I learned how much of an impact supply chain has on my life, my family’s life, my friends and our jobs. The day-to-day things and items and services that we rely on unconsciously every single day, the clothes we wear. We’re in a romaine crisis across the country. People are like, “I don’t understand. Why did it take them two weeks to figure out where the romaine was coming from?” This is a supply chain tracking problem. It’s just that simple. We don’t have a system in most places and it’s very difficult. Walmart is doing something about it but it is not a standard. There is no standardized method for the supply chain. Depending on the size of the company, they have a process but it’s usually proprietary to them. Therein lies, the problem. You’ve got a global supply chain system that is an entire ecosystem of ecosystems and networks and processes all wrapped up into this mega-system we call supply chain, but it’s really made up of a series of endless value chains and supply chains and processes and networks and goods and resources, all literally moving the entire global economy every minute of every day. This is what I think people need to realize and I know you know already, is that there’s no consumer in that process. It’s like, “I’m supplying, I’m just handling the trucking from this distance to that distance, whether it’s over land. I’m handling the shipping.” Whatever those companies are, they have their own value chain, that’s what you mentioned. They have their own profitability matrix and then the person on the other side is their consumer as far as they’re concerned. If shipping cost is too much, then you’re not going to get the job and it’s going to go to another shipping company. It’s all built on that. It’s not built on it at all what matters to the consumer or how the consumer is going to receive this product or what they care about at the end of the day. That in itself is where so much of the complexities and how do we fix this because everyone’s really just focused on their own system. This has gotten to be the point of it creates a distrust in the whole process. We don’t trust Walmart, we don’t trust the shipping companies, we don’t trust our freight forwarders, we don’t trust anyone in that process no matter what part of the chain we’re in because it’s going to affect our brand. The consumers are the ones who are the most distrustful at this point. When you ask a lot of these supply chain companies, “What’s your biggest issue?” The biggest issue really is silo data. They’ve got silo data as their remaining siloed themselves and then it’s like, “You’re never going to be able to fix the silo data unless we actually fix these other issues that are surrounding it.” What’s really funny is I’m a very curious person. I love the innovative field. This is why I love tech because I am one of those people that love researching, I love analyzing, I love asking questions. I love digging into the core depths of what people really truly want. What are their aspirations for the future and getting them outside of their inner world? Whether it’s a high-level exec or whether it’s a company as a whole, take a look at their mission and their future goals for their enterprise or their division. 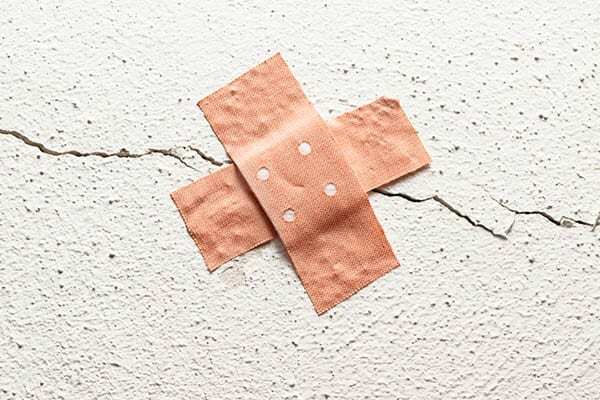 I love that because I truly believe that when you can get down to the core of these issues, instead of placing band-aids on top of band-aid, that’s where the change actually happens and can become sustainable. None of this change for supply chain is overnight. That brings me to my next question for you. This is something we saw in the 3D print world. It was the same way. We’re not the filament manufacturer. We don’t make the machine, we don’t make the designs. That’s for up to the consumer and consumers aren’t designers. That’s up to the CAD people. There’s always that passing the buck around blockchain. It’s the same thing. How do you think and what do you think is going to really take to make blockchain much more viable and much more applicable and able to address these bigger problems? Blockchain Complexity: When you can get down to the core of these issues, instead of placing Band-Aids on top of Band-Aids, that’s where the change actually happens and can become sustainable. I hear this a lot in the industry but I’m like, “You’re still not doing it.” It’s a top-down, bottom-up approach. You’ve got to start at the top with the major players, but also the top leaders. It starts with getting the leadership on the same page. Before we start really expecting enterprises and all these companies to start shelling out all of this money on these products, there needs to be a level of agreement between the leaders. If that agreement is not happening, then there’s still more work to be done. A lot of times I hear something you mentioned earlier, which is that, “We’re just waiting for consumer demand,” but consumer demand is going to happen because this is based on a need not on what they think they want. They don’t know what to ask for this yet. That’s what the problem with early innovation is. It’s a need but not a want. They’re not going to get there if that’s what they’re waiting for. The thing is though you also do need that bottom-up tactic because of that. Education is what is going to help us to build trust. Whether we’re just talking about blockchain, we need to understand on a global level what blockchain is. It’s not just a select few, it’s going to take time, it’s going to take resources and it’s going to take money for everybody to play their part in education on what blockchain is the benefits and what the differences are between all these different types of blockchain that are out there. There’s a lot of technical language going out there right now. What’s happening is people are segmenting themselves into groups and then they’re badmouthing the people that don’t agree or ask challenging questions. It’s truly the very same challenge that 3D printing, ARVR. We see this pattern happen again and again with technology adoption. I call it bridge building. That’s bridge building. If we want to advance the technology, we need to all collaborate and build the bridge from the old to the new. We can’t just say, “We’re all here in the new and it’s too bad for you people who don’t are in the know. You can catch up someday.” It doesn’t happen like that. There is somebody along the way that will build a bridge. When they build a bridge, they make more money than everybody else. I’m going to tell you that. They can invest in it and do it all themselves and make way more money. There’s no reason to not do that in a collaborative sense. I take it that that’s what you’re talking about when you’re saying here you need to humanize blockchain is that we need to make it something that is good for whatever, good for humans, good for this. Am I understanding that right or are you really talking about getting more of us humans involved in the development of blockchain? It really is getting more people educated and onboard and facilitating that process. I love the term bridge like you’re saying. That’s exactly what all of this is because honestly, I agree. If you’re going to be the ones to really truly stand out and make a difference and lead the way into mass adoption, you’re going to have the technology and that human touch. You’re going to encompass all of these skills. You’re going to have a great product, great skilled developers who know what they’re doing, but you’re going to really understand that there are consumers involved. That consumers do have a voice and that it is critical to educate these consumers who are a very big part of supply chain. Let’s not forget that. There are companies and value chains moving things but there are people that are actually executing everything from start to finish of the entire ecosystem. When you can get those people to understand that they have a voice to say, to tell us what it is that they need, what would help? When that voice becomes loud enough and can start demanding that we create ethical brands. We force our clothing brands to validate that their clothing is not made in sweatshops. When they say organic, it really is organic. Imagine if we had a world that literally demanded that we know where our food comes from. Honestly, the majority of the people don’t even know right now that that is actually an option. We don’t have a concept of what’s possible all the time and that is the job of us visionary as technologist and as innovators to make sure that they do know that these possibilities are out there and not only that they’re out there, but that they can be molded and formed into something that can benefit them even more. That’s the biggest takeaway of all of this. This mission to be the bridge builders of the future is what’s going to affect your bottom line. It’s what’s going to not just gasp help the environment and help people, but it’s going back the bottom line of your business. It’s going to help you save costs, it’s going to help you bring in a larger profit. It’s going to help everybody in the supply chain together working collaboratively as you said. To me, it feels like a win-win no-brainer. We know it’s not that easy. Tell me a little bit about what you’re working on right now. Obviously, you’re giving keynotes around the world and so what else? I delivered this keynote in Athens, Greece and got such amazing feedback. I was a little nervous because everybody is getting on stage. They’re talking about the technology and I’m like, “I’m going to do things a little differently.” Everyone loved it and the feedback was incredible. What I’m doing now is I’m turning it into my official keynote. I’m doing articles on it, I’m going to be doing video content on it. I’m actually developing a whole program around it and I want to pull in key people to help deliver this message because I can’t do it alone. I don’t want to do it alone because I do believe that the future of humanity is collaboration, is equalizing a value. We all have something to contribute. I’m really excited. I’m very passionate about just pulling key people in to really support this mission, knowing that it’s going to affect all of us. That’s really big. I plan on doing even some events, travel events where I really get to showcase this on a bigger level. In addition to that, I do also consult. I do love consulting, I do love blockchain advisory. I still do a lot of that. I’m excited to be out there doing what I really believe. I learned so much this year working with supply chain, working behind the scenes with the blockchain startup. I truly found where my core value is for this space. I look forward to hearing what you’re going to do and seeing how we can get this collaboration going. That’s our mission here at the New Trust Economy as well is to really start getting people from bickering about which coin is going to go and start talking about how we’re going to utilize this and how we’re going to make it viable so that we can adopt blockchain into any company and make it understandable to the small businesses and small enterprises who really could use to improve because the majority of the supply chain problems and the things we’ve been talking about are small to medium-sized businesses. They don’t have CTOs and they don’t have the capacity to invent a blockchain themselves. 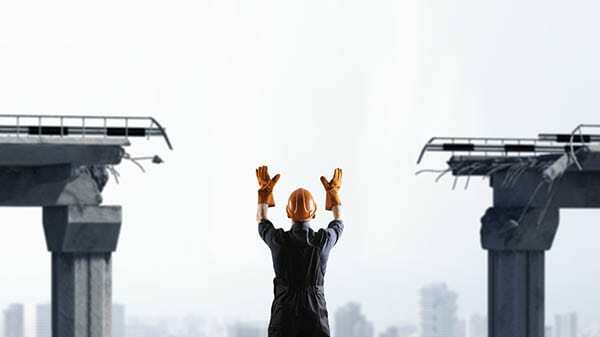 How could we bring things to them and how can the structure of it and the process of it and the rules of it, work in favor of consumers work in favor of those businesses so that they can adapt and they can do what they need and get that bridge? I hope you’ll come back and talk to us again in the future. We definitely want to hear how you’re doing and where things are going. Please keep us posted. Thank you so much for being on the show, Cherie. Thank you so much. Thank you to everybody. I appreciate this time. It’s a very big message. Blockchain Complexity: Being the bridge builders of the future is what’s going to affect your bottom line. This is the New Trust Economy. You can find us everywhere on social media. Thanks so much for joining me. This is Tracy Hazzard. I’ll be back again soon with another episode. 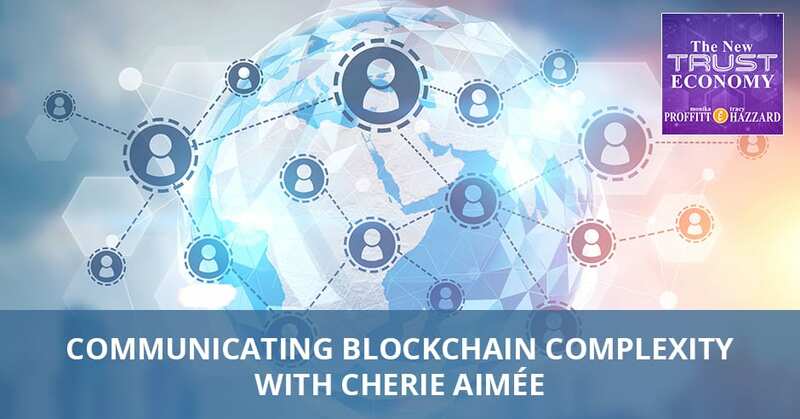 Cherie Aimée is the former Director of Communications for ShipChain, a tech company offering a blockchain-based solution to unify a multi-trillion dollar freight and logistics industry. She is a near-death survivor, heart transplant recipient and ranked #6 of the Top 100 Women in Blockchain. 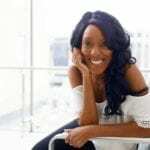 Cherie is an author, media contributor, and featured in major media outlets such as The Dr. Oz Show, NBC Today Show, NBC News, Megyn Kelly Today, ABC News, FOX, Forbes, Thrive Global, and Influencive. She travels the world speaking about technology, leadership, and community. Cherie’s one simple mission is to impact 1 billion lives. She is listed as the Top 18 Woman You Need to Know Now and recently named Female Leader of the Year.